Ulandi Exner is the President of IITPSA. Before being elected as President in 2015, she served on the Board as a Vice-president and Honorary Treasurer. Her career trajectory has seen her hold the positions of IT Manager and most recently CIO of an investment company, whilst still in her 30’s. Ulandi has a special interest in Cyber-security and holds certifications in the field. In November 2016, she was invited on a panel at the ACS President’s Conference, where the topic was Cyber-security and the role leadership has in mitigating the risks. Before Women in IT was taken over by IITPSA, Ulandi was the liaison between Women in IT and IITPSA. 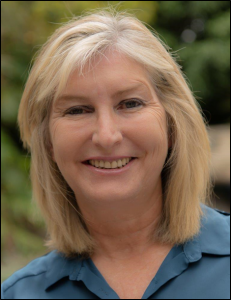 Joan Joffe has been actively involved in the IT and Telecoms industry for many years. 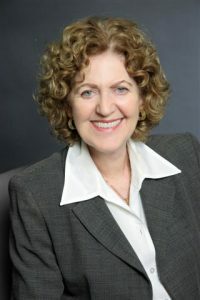 After completing studies in Mathematics and Computer Science at Wits and Stanford Universities, she worked for various companies in the US and South Africa, including IBM, Hewlett Packard, Wells Fargo Bank and Standard Oil of California. In 1977, she launched her own company, Joffe Associates, which was the first organisation in South Africa to import, sell and service the IBM PC. She took the company national, and sold it 10 years later. She is a founding member of broad-based women’s empowerment group, Nozala Investments. She served on the board of several companies including the CSIR and Datacentrix Ltd and was a board member of several non-profit organizations including the Freeplay Foundation, Women and Men Against Child Abuse; the Readucate Foundation and the International Women’s Forum. She is a former Businesswoman of the Year and a recipient of the Wits University Lifetime Award for Entrepreneurship. She is a Fellow of the IITPSA (previously Computer Society South Africa) and a winner of the CSSA/Engineer IT Fellowship Award for 2004. She currently consults to companies in the ICT sector and represents several offshore technology companies. Brenda received the EC IITPSA 2018 Woman in IT Award for her outstanding work in promoting careers in IT for women. She leads Young African Women in Computing (YAWiC), which organises events such as “Summer Coding Camps” for young girls in high schools. These girls attend a two-day summer coding camp where they are taught that IT and programming are fun! In addition, she has organised other events such as “What’s your story” where women working in IT or studying IT talk to younger women, telling them their story and promoting careers in IT. She is currently the Head of Department of Computer Science at the Nelson Mandela University. 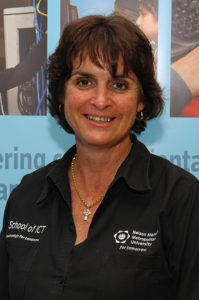 Karen was chosen as the 2018 Woman in IT [Lifelong Achievement] Award for her outstanding academic leadership which has touched numerous lives in many ways; her important contributions to the growth and work of the Nelson Mandela University’s School of ICT over more than 20 years; and her extramural involvement in initiatives and organisations such as the IITPSA, where she served as EC Chapter Chair for many years. She has been involved in the IT world since “the good old days” of punched cards and dumb terminals. She started her working career at IBM as a Systems Engineer and later started her own IT consulting and training company. However, her passion for teaching soon won her over and she became a lecturer at the PE Technikon. Her career in the academic world has been an illustrious one – moving through the ranks of lecturer, senior lecturer, principal lecturer and Head of Department. She is currently the Head of Department of Information Technology at the Nelson Mandela University.